We love this tippet material and the more we use it the more we love it. In the fishing industry it is not often that a product is so good that it gets more popular with age. There is no better quality in tippet material than the word "proven". You need tippet material than you can trust. 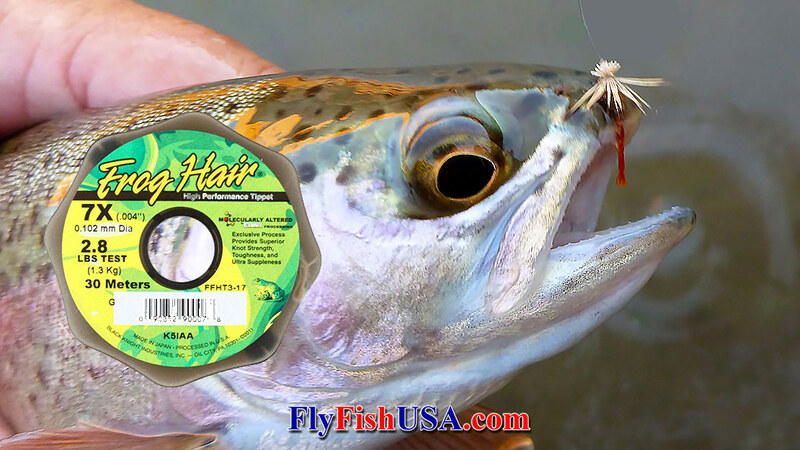 Frog Hair tippet and leader material is engineered to be the finest Copolymer available. Subjected to exacting tolerances and GAMMA's revolutionary, proprietary process, Frog Hair offers the combination of super high strength, ultra suppleness and built-in shock resistance. This unique blending creates a line that will generate more takes and provide maximum fish fighting capability. Frog Hair's patented gamma ray bombardment process aligns the molecules inside the leader for more strength, durability, predictability, and especially resistance to shock. Poorly tied knots, abrasion from misuse are the main contributors to leader breakage. But, if your leader is in good repair and the knots are well tied the next largest factor is shock. Shock caused by fish jumping, shaking their heads and in all ways of trying to dislodge your hook is a main contributor to leader breakage. 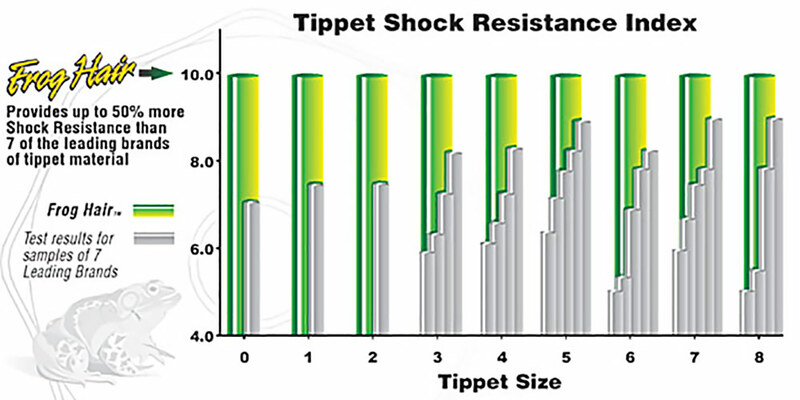 Test results (above) compares the shock resistance of Frog Hair Copolymer to 7 other leading brands show that no other tippet material offers the same level of shock resistance as Frog Hair. In fact, Frog hair offers up to 50% more shock resistance than most other brands. That is because the molecules inside Frog Hair are more securely aligned. All Frog Hair tippet material is made in Japan. 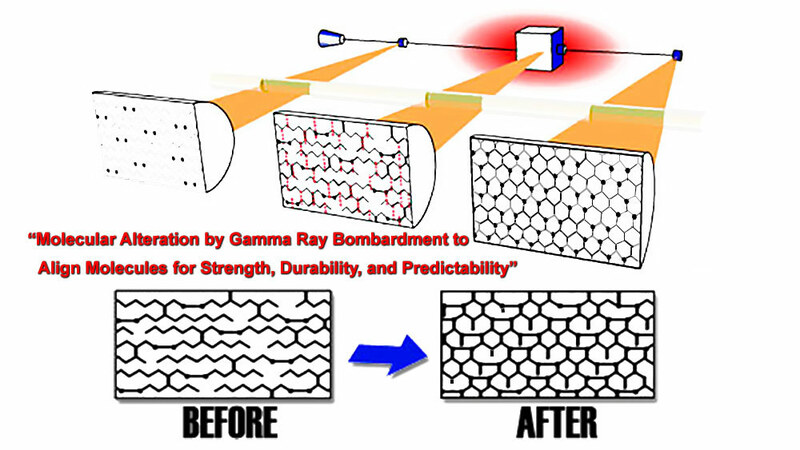 It is then brought to the USA and processed with Gama Radiation which causes the molecules to interlock more evenly which gives the material more strength, especially against shock.